05 Nov 2015 / 16:51 H.
KUALA LUMPUR: The ASEAN Regional Road Safety Strategy, which will be the standard for road safety in ASEAN countries, has been finalised, said Deputy Prime Minister Datuk Seri Ahmad Zahid Hamidi (pix). He said the strategy, which was in line with the United Nations Decade of Action for Road Safety 2011-2020, was essential to safeguard the welfare of the ASEAN people as the region continued to develop land transport infrastructure. "Furthermore, I understand that during last year's ASEAN Transport Ministers Meeting, the Malaysian Institute of Road Safety Research or MIROS, was appointed by the ASEAN Road Safety Centre in integrating efforts by ASEAN member states with regard to safety matters, which is indeed an honour," he said when opening the 21st ASEAN Transport Ministers Meeting here today. 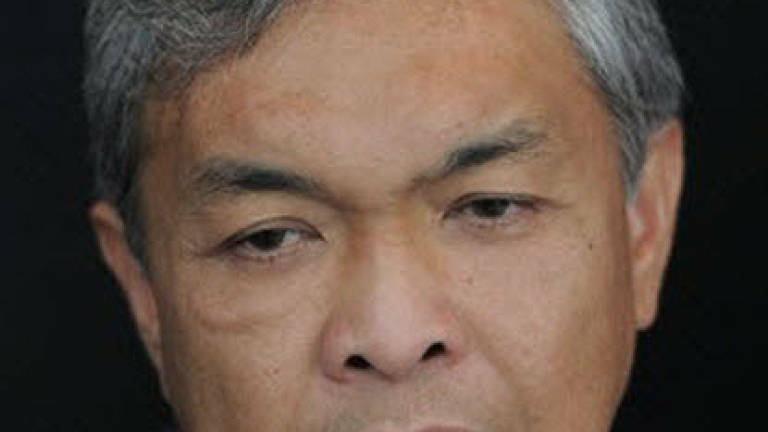 Ahmad Zahid said the development of land transport infrastructure, both road and railway, was equally crucial to boost mobility and achieve greater integration and inter-modal interconnectivity within the ASEAN states. Hence, he said, the completion and implementation of the ASEAN Transport Facilitation Agreements were also timely. Ahmad Zahid said the transportation sector played a pivotal role in ensuring that ASEAN maintained its position as one of the leading economic blocks in the world and that there were immense benefits to be gained from regional cooperation. He said improved connectivity and transport networks comprising land, air and maritime routes throughout the region would contribute significantly to the growth of ASEAN, enriching economic integration and the competitiveness of ASEAN member countries. "Certain enhanced linkages, such as the ASEAN Open Skies and Single Aviation Market, ASEAN Highway Network, Singapore-Kunming Rail Link, and a well-developed port and logistics infrastructure in ASEAN, will enhance possibilities for trade and tourism on a regional and global scale," he said. He said that as part of the ASEAN Master Plan for Connectivity, the linkages also would facilitate greater cooperation and engagement across ASEAN nations. Ahmad Zahid said a key component in the establishment of the ASEAN Economic Community (AEC) was the liberalisation of ASEAN's aviation sector, which would be a significant catalyst for the region's economic growth by 2030. "I am pleased to note the progress that has been achieved in the implementation of the ASEAN Single Aviation Market (ASAM) Roadmap. "Efforts to realise the establishment of ASAM, as well as full ratification and implementation of the ASEAN Open Skies Agreements, are great importance," he said.